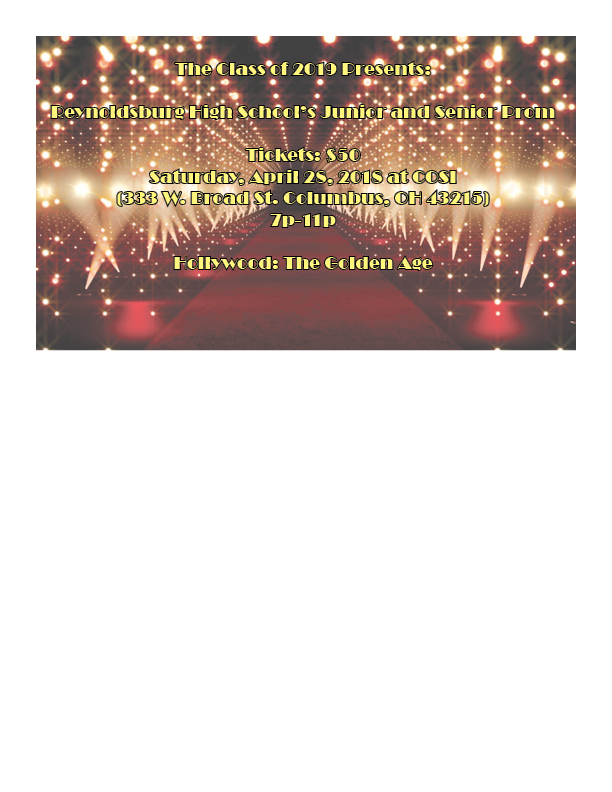 Reynoldsburg High School's Junior and Senior Prom, The Golden Age Of Hollywood is Saturday April 28, 2018 at COSI (333 W. Broad Street, Columbus, Oh 43215). Tickets are on sale now and are $50. You can get them at lunch or at your Academy offices at the Summit Campus or the BELL office at the Livingston Campus.